Noe Nino de Rivera was placed in a medically induced coma for 52 days after he was tased by a Bastrop County Sheriff’s Deputy at Cedar Creek High School on Nov. 20, 2013. He is now recovering at a rehab center in the Hill Country. A Bastrop County Sheriff's deputy who Tased a 17-year-old in the hallway of Cedar Creek High School last year will not face any charges. The teenager, Noe Niño De Rivera, spent almost two months in a medically induced coma and is now in a residential rehabilitation center in the Hill Country. He is believed to have suffered a permanent brain injury. Deputy Randy McMillan used the stun gun and Deputy Timothy Stalcup was on the scene. On Tuesday, a Bastrop County Grand Jury declined to indict either of them. Bastrop Sheriff Terry Pickering says he accepts the grand jury's decision. "I am confident that the Grand Jury conducted a thorough review of the incident," he said in an emailed statement. A separate administrative investigation by the Bastrop County Sheriff’s Office also concluded that McMillan "acted within the use of force policy and guidelines," the statement read. But a lawyer representing the families says the grand jury never reached out to Rivera or his family members to hear their side of the story. "The grand jury process in Bastrop was one of the biggest shams of a grand jury process I've seen in my entire career," attorney Adam Loewy said in a phone interview. "They had one result in mind and that was to clear the officer and they did just that." Loewy says the family is hopeful that an FBI investigation into the incident will yield a different outcome. Video of the incident, obtained by KVUE and the Austin American-Statesman in January, shows Rivera may have been backing away from McMillan in the seconds before he was Tased. Some Cedar Creek High School students walked out of class today in protest of the tasing of a fellow student on Wednesday. 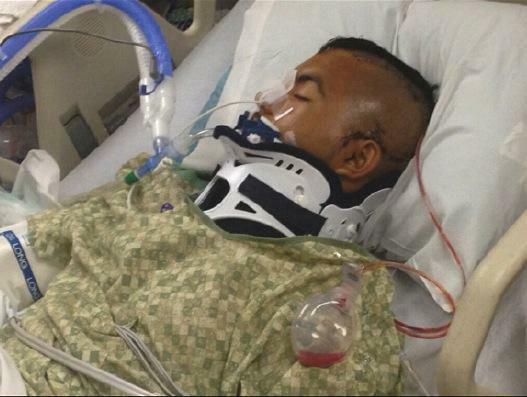 That student, 17-year-old Noe Nino de Rivera, has been in a coma ever since the incident. Officials and Rivera’s family members are far apart in their descriptions of the incident. Bastrop County Sheriff’s Deputies Randy McMillan and Timothy Stalcup, who work as school resource officers for the Bastrop school district, were called Wednesday morning to a fight between two female students.